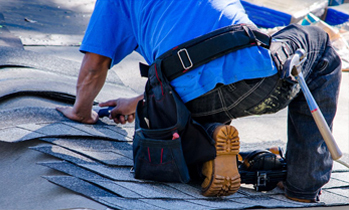 Lexington Roofing and Repair is the place to call for all of your roofing needs. Whether you need a whole new roof replacement or just simple roofing repairs in Lexington, we have you covered. With well over 20 years in the roofing business as well as countless roofing repairs under our belts, no roofing company is more experienced than us. Shop here first because we are simply the last place you’ll need to call when getting quotes and pricing for roof replacement and roof repair in Lexington, KY. Our prices are competitive and our staff is competent to get any job done no matter how steep the pitch. We’ve been covering and protecting Central Kentucky for years with our 100% money back guaranteed quality. 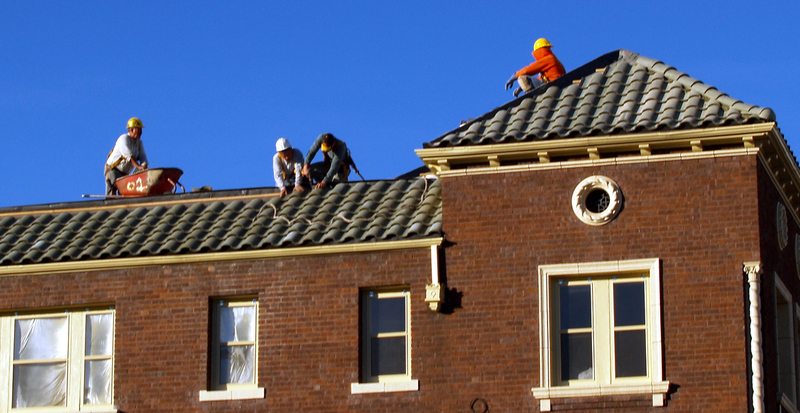 Lexington Roofing and Repair is one of the top roofing companies in Lexington, Kentucky. If you need a new roof installation in Lexington or you have a pre-existing roofing application that needs attention we are your go to roofing company in Kentucky. 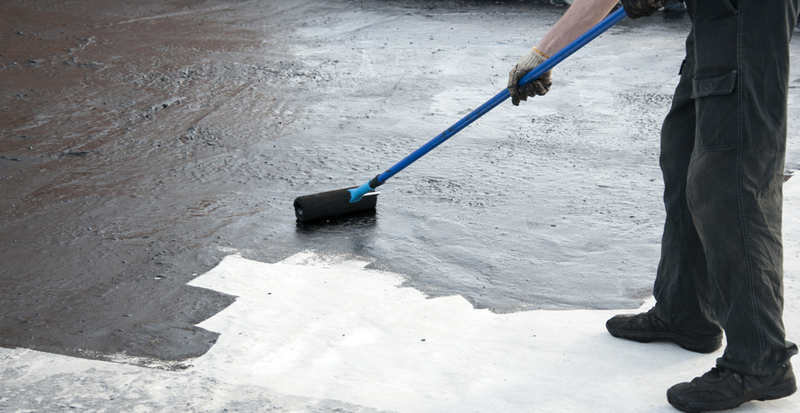 We can repair your existing roof or replace your roof to add waterproofing protection and to permanently stop leaks. Wind damage, hail damage, storm damage or just old age our team of expert roofing professionals can repair your roof and seal out the elements. 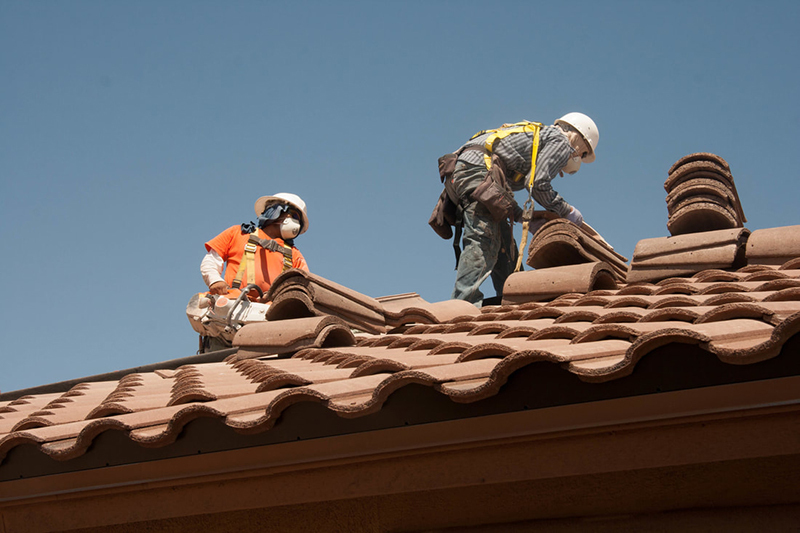 Lexington Roofing and Repair not only installs residential roofs but we are also one of the top commercial roofing contractors in Lexington, KY. Our commercial roofing company in Lexington can serve jobs as far as 100 miles away. Our roofing rates are competitive but we stand out from the competition. You’ll not find a better roofing contractor in Lexington than us. So for all of your roofing needs, give us a call or contact us and let us know how we can serve you! Lexington Roofing and Repair Reviews, Background, Services and Prices. We Have the Remedy for All Your Roofing Needs. Contact Lexington Roofing and Repair Today! Not all roofing companies in Lexington are created equal. Some are fly by night Johnny come lately roofing companies that wing their way between jobs. Lack of experience and professional roofing certification can be detrimental to the homeowner. Be certain that the roofing contractor you hire is qualified for the type of roofing installation application for your needs. Just because that company was recommended to you from a neighbor who had a traditional roof installed last month, doesn’t mean they are certified to put a new metal roof on your home. The applications and installation methods are very different and sometimes require a specialty license to install quality roofing materials. 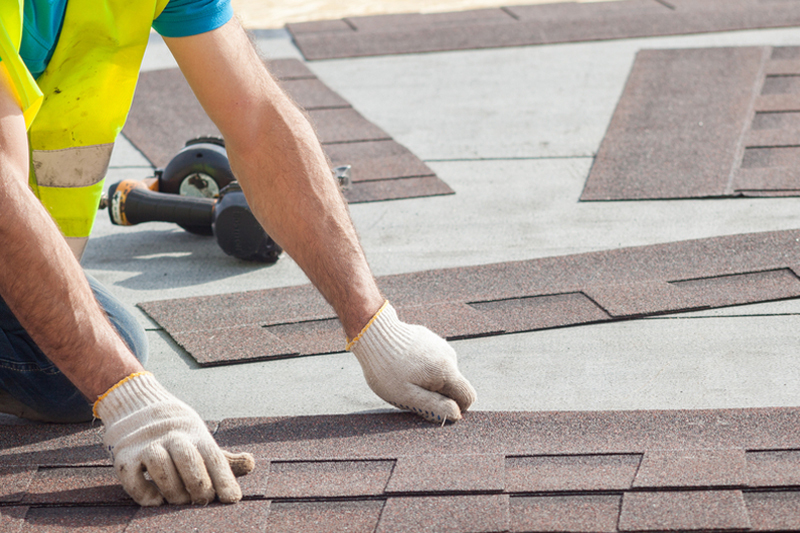 Beware that a cheap price on a new roof could be a red flag. You rarely find the best price on a new roof gives you the best quality. In other words, you get what you pay for and paying the cheapest price for a roof repair or replacement could cost you much more in the long run. Don’t cheap out on a cut rate roofing contractor. Hire only the best for the roof over your family’s head. The best roofing contractors in Kentucky not only protect the homeowners from damage to their house and roof but they also protect their employees. The last kind of insurance claim you want to be filed against your homeowner’s policy is one due to someone falling from your roof. ​Protective breathing masks should be worn on certain roofing removal projects. 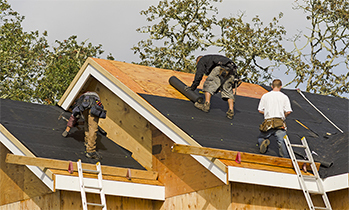 Workers should be protected from falls with the use of a harness and ropes on steeper pitched roofs as well as roofs that are more than two stores above the ground. 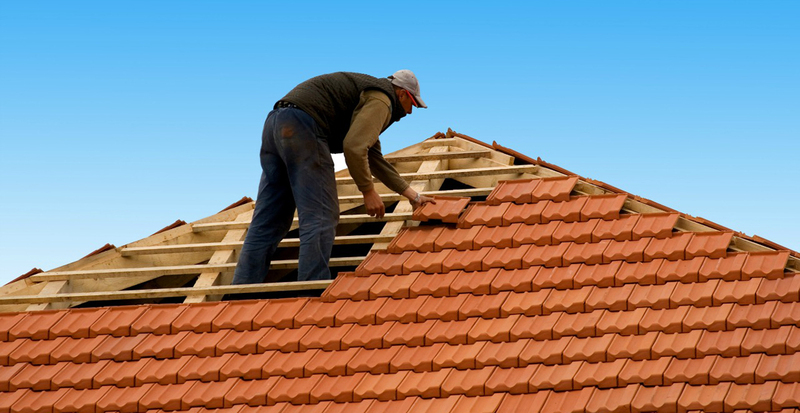 A legitimate roofing contractor will be bonded, licensed and insured. They will be licensed to work in the city or county in which their projects exist and should be in good standing with the local building code office. Metal roofing in Lexington and the surrounding rural areas has really gained in popularity over the last 10 years or so and for great reason. Metal roofs are very durable and outlast many traditional roofing materials. If you’re looking for a new roof for your house or you need to replace or repair your existing roof, a metal roof can be a great choice for a total roof replacement project. Metal roofs have many pros and a few cons to consider if you’re looking to see what the cost of a metal roof is. 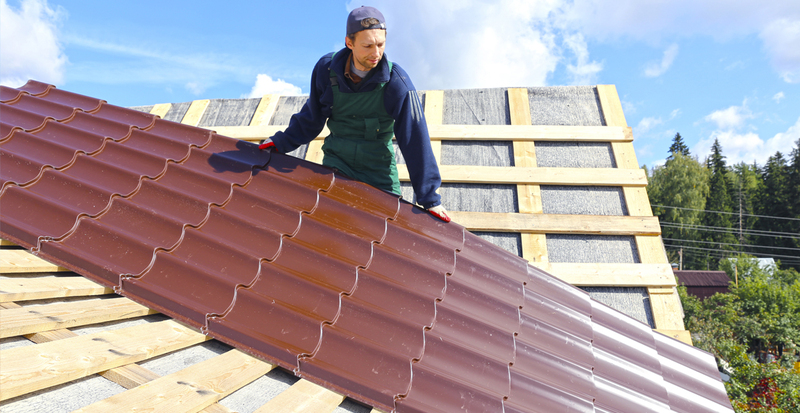 Be forewarned, a metal roof will be more expensive than traditional asphalt shingles. But let’s explore the benefits and the drawbacks of metal roofing before you let the sticker shock you out of a good roofing material. Metal roofs require very little maintenance at all. In addition, a metal roof is very eco-friendly or what some refer to as a “green” product. Your new metal roof is also going to last a lot longer than traditional roofing materials but we will discuss this more later. 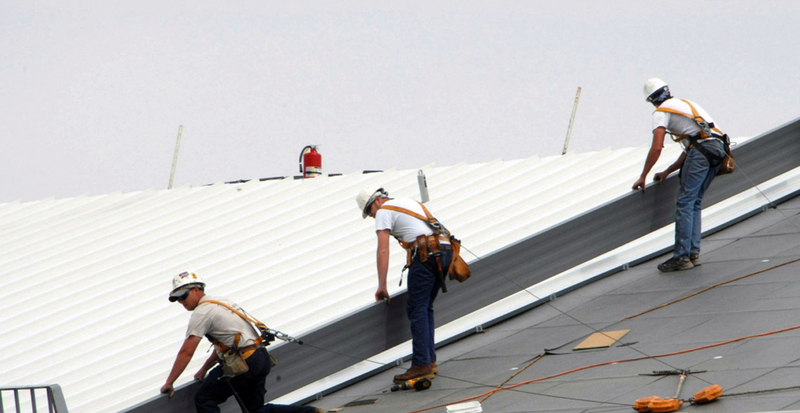 Metal roofing can be made of several materials based on climate and consumer choice. Aluminum, zinc, tin, galvanized steel or copper are some of the roofing choices for Central Kentucky. ​All of our metal roofing materials are labeled, tested and approved by FM Global or UM. If you’re getting cheap prices on metal roofing from other roofing contractors it’s probably because they are using cheap materials that will cost you more in the long run. Let’s take a look at some of the pros and cons of metal roofs. Durability. Although we recommend inspecting your metal roofing for damage or wear from time to time, a metal roof is one of the toughest roofing materials money can buy. A metal roof should not corrode or crack. 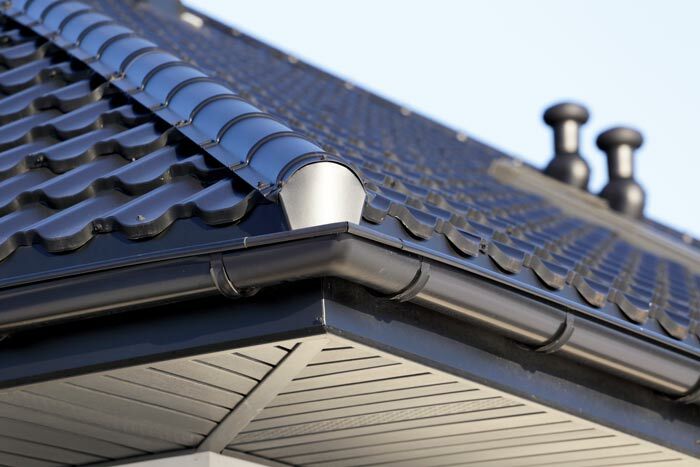 This durability can save you on costly repairs over the life of your roof. Metal roofs can withstand winds of over 150 MPH and a metal roof can be upgraded to an impact-resistant. 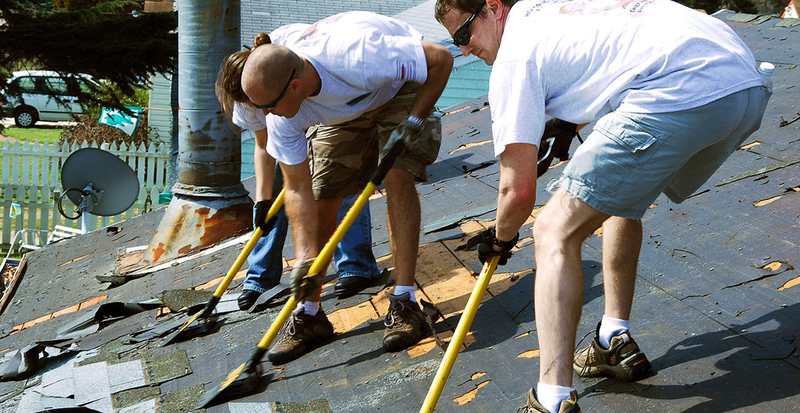 An impact-resistant roof can also save you money on costly storm damage repairs. Energy Efficient. We all want to save a little green while being green right? A metal roof can save you over 25% on cooling costs due to the reflectivity of the materials and colors available. Fire Resistant. If your home is struck by lightening or endangered by embers from a nearby or approaching forest fire, a metal roof will not flare up and catch fire like shingles will. This could lead to a safer household environment during electrical storms and forest wildfire season. A Green Roofing Material. Well not exactly a “green roof” in that we aren’t using plants and vegetation as a roof covering but environmentally conscious and friendly in the fact that metal roofing is 100% recyclable. In addition, we buy metal roofing materials from manufacturers that use up to 95% of recycled metals to make their new metal roofing materials. Basically all of the shingle material roofing gets torn off and thrown in a dumpster thus contributing directly to the landfill. So if you’re wanting to reduce your waste a metal roof is a great way to be more earth friendly. Time Tested Material. Most shingles are designed for a lifespan of 15-25 years and most of the time they don’t last as long as they claim due to harsh weather and storm damage. A good quality metal roofing material can literally last a lifetime. A typical metal roof should last anywhere from 45-75 years. So purchasing a metal roof is a bigger initial investment but will most certainly pay dividends in the long run. We all know that life isn’t all peaches and cream and roofing is really no different. We want to help you make the best decision for your home and that’s why we also want to discuss some of the drawbacks of a metal roof. Price. Let’s face it. A metal roof can be an expensive initial investment. Some people just may not find it in their budget to pay 2-3 times the cost of a shingle roof despite the fact the metal roof will last much longer. Older homeowners or ones that don’t plan to remain in the house for very long may not see the benefits of a metal roof. Durability. Wait, didn’t we just say this was an advantage of a metal roof? Well yes but here’s what you need to know. If the metal roofing material isn’t certified by a trustworthy company you could be getting a cut rate grade of metal. What happens are inconsistencies in the thickness of the metal and poor quality. This can lead to corrosion and rust. The thinner material can also rust easier in a hail storm and may sustain greater hail damage than normal. Be sure your metal roof is installed by a qualified company using only certified materials. They Can Get LOUD! During a hail storm or heavy rain the metal roof can tend to be quite noisy. i find this to be very nostalgic and soothing but others who aren’t used to the pitter patter on a tin roof may be disturbed by the increased rain volume. More insulation can be added to reduce the noise if so desired but expect to pay even more to reduce the noise level. Color Coordinating. Fading over the years can make matching a new metal roofing panel a little bit of a challenge. If you add an addition on to your home someometimes inconsistencies in the newer and older section roofing colors are unavoidable. Also, if a repair is necessary those color discrepancies can also rear their ugly heads. A minor issue but certainly something to consider. Movement. Contraction and expansion is a natural phenomenon of metals and it’s no different on a roof. Temperature extremes cause the roof to expand and contract but proper installation can prevent any problems from arising. Yet another reason you want to go with a certified metal roofing installer on your next home roof renovation. If you think all roofing materials are the same, think again! Hail prone areas often see extensive damage done to roofs during a hail storm. Hail storm damage is one of the main and most utilized insurance claims on a home or place of business. If you want to ensure greater protection to your home and roof during a hail storm we recommend getting a good and high rated impact resistant roofing material. A roofing material with the UL 2218 Class 4 rating will be the one we suggest anyone woriied about hail damage to their roof. This is one of the most resilient asphalt shingle materials. 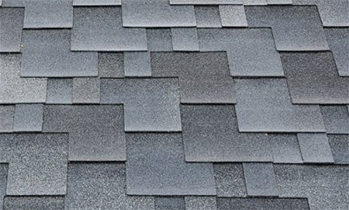 Although it is more expensive than a traditional shingle installation, it may pay dividends in the future when strong storms roll through and your neighbors experience storm damage from hail or wind. As one of the best contractor in Lexington Kentucky, we take pride in providing our clients with the most transparent, reliable and friendly service out there. I was helping a friend find a roofing company in Lexington. After calling multiple roofing companies it was a breathe of fresh air speaking with Lexington Roofing and Repair. They were polite and very knowledgable. Price was very fair. If you are looking for a roofer give them a call. You will not be disappointed. Lexington Roofing and Repair has unmarked service and value for their customers! They are very friendly and very service-oriented! Thanks Lexington Roofing and Repair! I Just bought a house and before we could move in we had to fix the roof because it was leaking pretty bad. These guys fixed it in about 3 days and got us into our new house! Thanks guys!